If you are looking to explore Central Vietnam: Danang-Hue-Hoi An within a short period of time, this guide is perfect for you. This is a 2 day Danang Hue Hoi An itinerary that will cover all major tourist destinations in Central Vietnam. Central Vietnam contains both coastal and mountainous provinces, these provinces are mostly visited due to their spectacular beauty and historical importance from the early settlement of Cham and two major wars in the country, First Indochina War between France and Vietnam and the Vietnamese-American war. Tragic as it may seem, Danang, Hue and Hoi An became well known to the world and now attract millions of tourists from all over the world. Learning about the history, culture and exploring the beauty of Central Vietnam is worthwhile. Among the three most visited cities in Central Vietnam, Danang is the most modern and is the most accessible one. 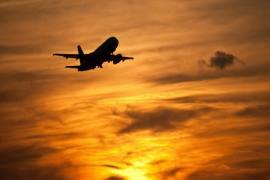 Danang is the only one in Central Vietnam that has international airport, thus most travels start here. The tall buildings, sturdy and beautiful bridges and white beaches are what Danang is famous for. 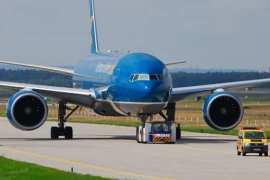 Best if you book a private airport transfer to Hue before arriving to Danang because Danang to Hue by car includes quick stops on major tourists destinations along the way. 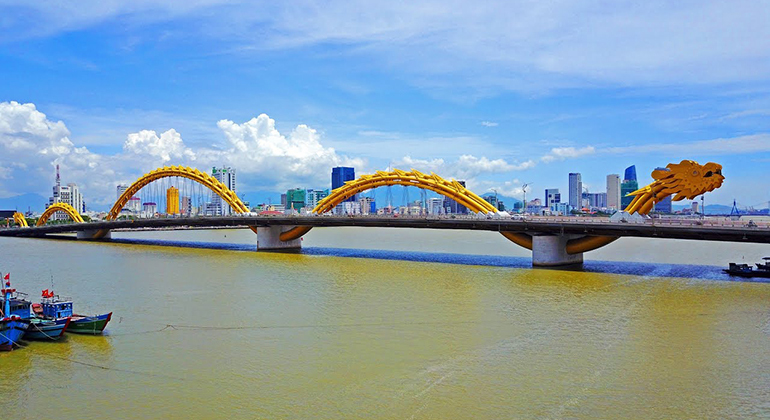 From Danang airport, you should see four unique masterpiece bridges; Dragon Bridge that breathes fire and water, the swing-bridge of Han River, the Tran Thi Ly sail-shaped bridge, and Thuan Phuoc Bridge – the longest suspension bridge of Vietnam. As you drive smoothly through the winding road to the peak of the Hai Van Pass – you will see the panoramic view of the modern city of Danang and the white sand beaches just below the mountain. Hai Van Pass is actually a physical division of Danang and Hue province. When you reach the peak of the Hai Van Pass, you will be stunned with how different the cities are, from the tall buildings and crowded resorts to traditional houses and unspoiled beaches. 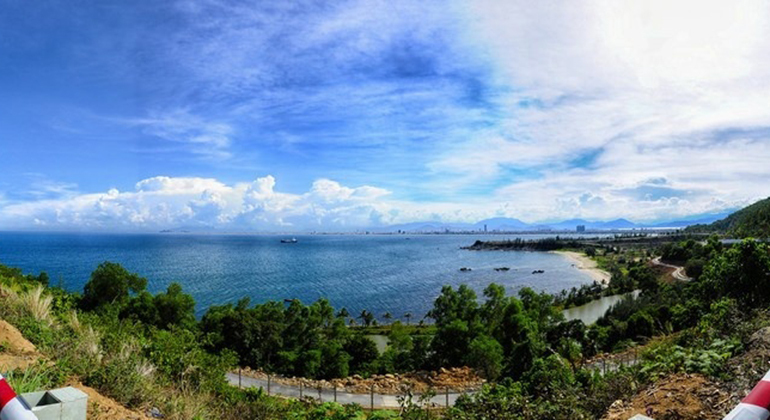 Must do: Take a panoramic picture of Danang and Lang Co beach. Visiting the luxurious Khai Dinh tomb would be perfect upon arriving in the Imperial City of Hue. This famous tomb was made for the 12th emperor of Nguyen Dynasty – Khai Dinh. The tomb may not be as big as the other tombs but it definitely reflects the majestic Emperor Khai Dinh and his stance regarding Western and Eastern relations. The tomb is the only one that used the fusion of Western and Eastern architecture. You must be hungry by the time you finish exploring the tomb, great thing Hue is the gastronomy city of Vietnam. Hue Cuisine may be relatively spicy but most likely they are the best you’ll have in Vietnam. After lunch, it is perfect to visit the main tourist attraction in Hue – it’s Citadel. 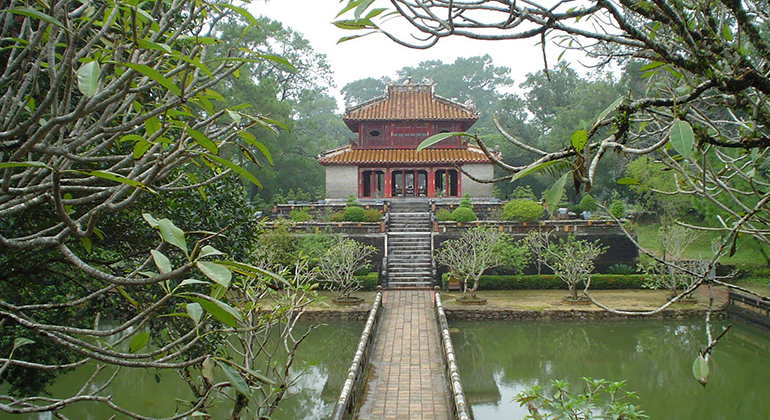 Hue being the imperial capital of Vietnam, the citadel depicts the majestic reign of the last dynasty – Nguyen dynasty. 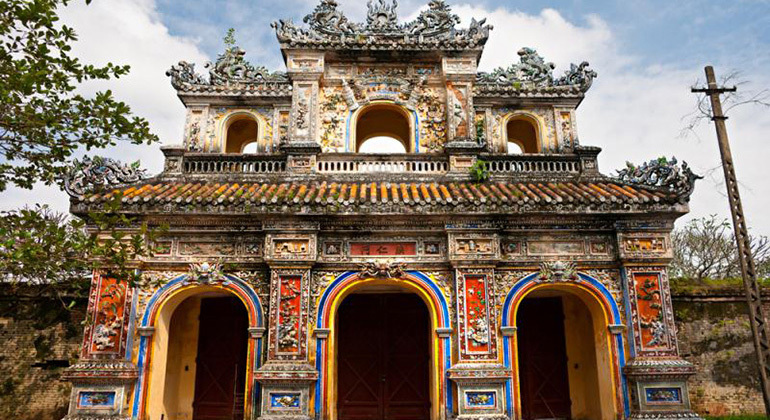 Needless to say that this UNESCO recognized World Heritage Site – Citadel is a must see in Hue. 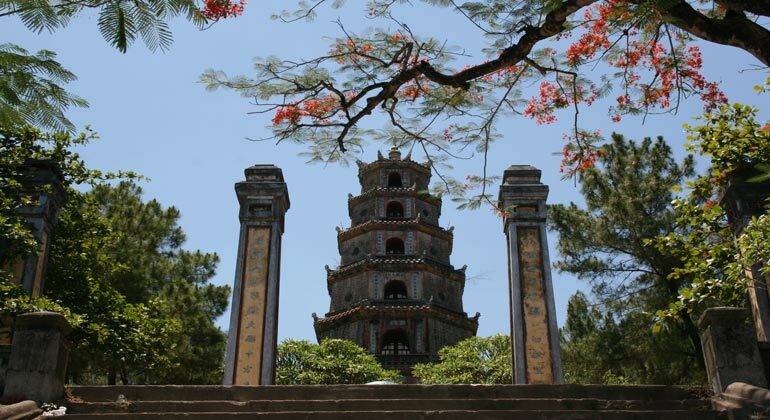 Before the sun sets, best if you get to the famous Thien Mu Pagoda. 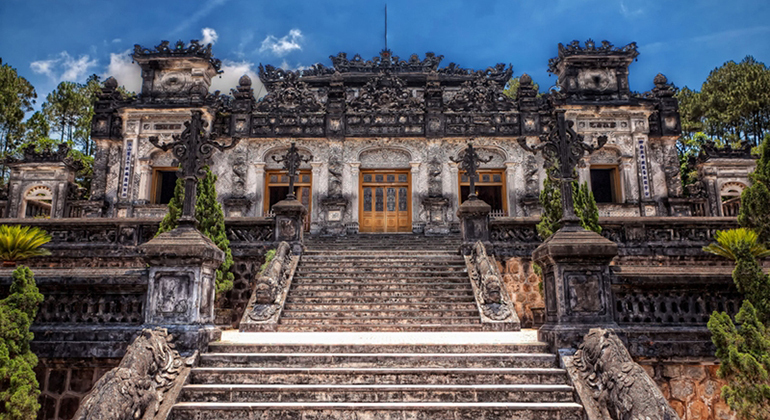 This sacred and serene place is one of the oldest – built last 1601, ordered by the first Nguyen Lord, Nguyen Hoang. After walking around the pagoda, you can take a dragon boat and cruise on the Perfume river back to the city center. Rest for the night in Hue City. To avoid the crowd, start early to visit the biggest and considered the most majestic of all of the royal tombs – Minh Mang Tomb. 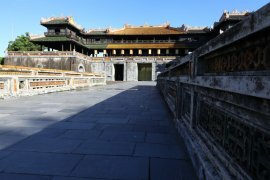 The tomb was designed carefully with great consideration with its natural surroundings and to be used solely by the 2nd Nguyen Emperor Minh Mang but he died before the tomb was finished and his son continued the construction and the emperor’s remains were move years after. After exploring the tomb, it is time to head back to Danang. On the way, you can stop at Lap An Lagoon for a coffee or refreshment while enjoying the view of the lagoon at the foot of Bach Ma Mountain. If your cold drink is not enough, you can have a quick dip in the beautiful My Khe beach upon reaching Danang. Next stop will be the world renowned Marble Mountain. The mountain is full of Hindu and Buddhism grottoes. 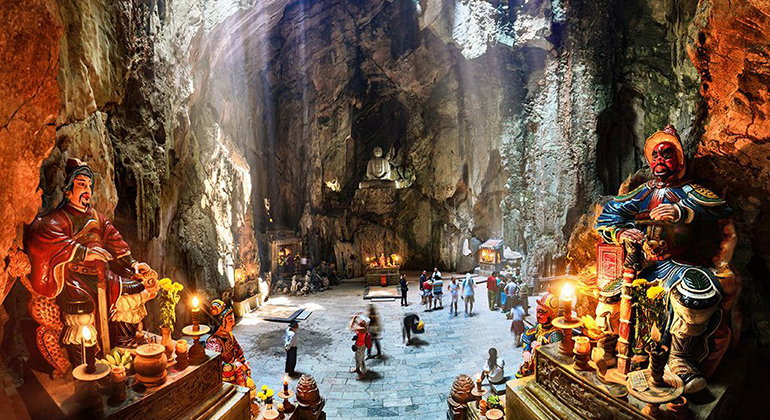 It would take an hour or 2 to get through all the caves and pagodas. At the top of Marble Mountain also gives a breath-taking picturesque view of Danang. 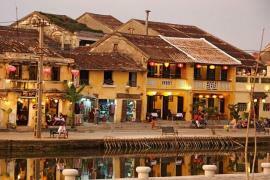 Hoi An Ancient Town will be the highlight of the day. This is not just another UNESCO recognized World Heritage Site where you learn long history but the beauty of this old port is mesmerizing. 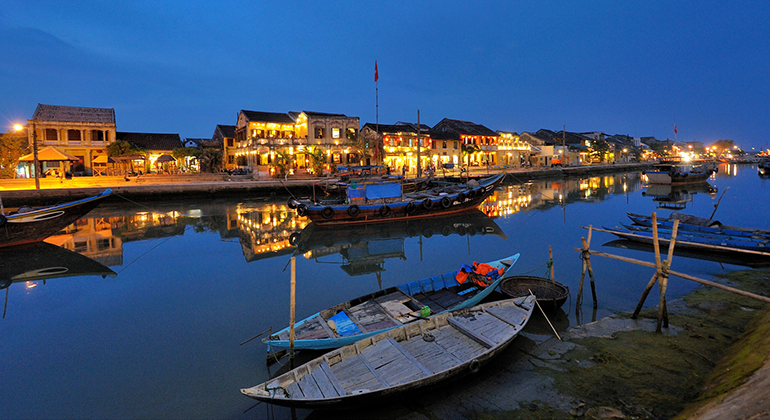 This small town becomes magical after sunset and if you are lucky, you might even witness lantern festival. 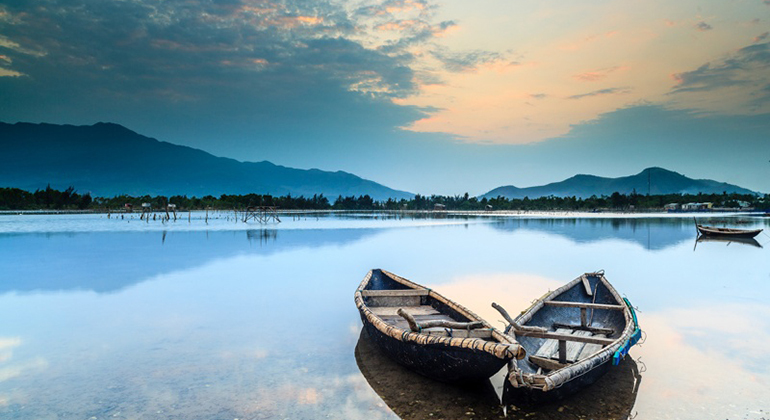 You can conveniently do this itinerary and get the most out of your Central Vietnam with a private car transfers, which is relatively cheaper compared to getting multiple transport on each stop.